The UAE’s digital-savvy population expects a lot from their smart phone, HTC to announce the local availability of two devices that deliver the goods. The HTC Desire 12 and the HTC Desire 12+. Offering similar experiences in two different packages, the 5.5” HTC Desire 12 and the 6” HTC Desire 12+ are slim and comfortable to hold despite their 8: 9 edge-to-edge screens. The HTC Desire 12 is on retail shelves now along with the larger HTC Desire 12+. The HTC Desire 12 and HTC Desire 12+ are offered in Cool Black and Warm Silver, and will later be unveiled in an all-new signature Royal Gold color never seen on an HTC smart phone before. Big screen that’s easy to handle. More YouTube, richer gaming experiences, more immersive movies. A bigger and better viewing experience lets you enjoy the things you love while the swipe anywhere feature keeps everything you need just a thumb tap away. Always looking out for you. HTC Sense Companion helps make life easier with Smart Alarms that respond to your calendar, Battery Saver to remind you to power up before you leave your home, and performance enhancements to clear junk files and free up valuable space. Inherent beauty with premium style. 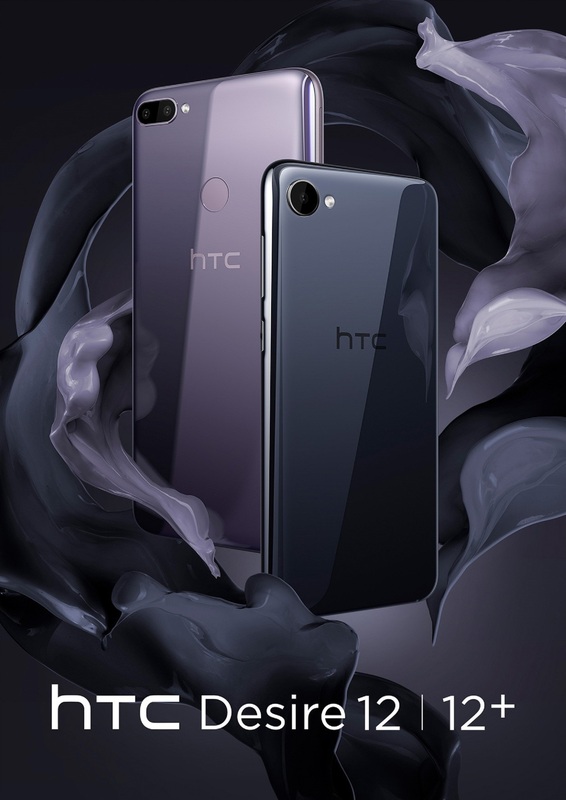 Paying tribute to the U11 series’ exquisite Liquid Surface, the HTC Desire 12 and HTC Desire 12+ incorporate a durable acrylic glass back surface with a new, streamlined look that will catch everyone’s eyes. The frame and curved edges have a better feel, and the dynamic colors add to your own unique style. All the space you desire. Each HTC Desire 12 model comes with three SIM and microSD card slots so that you can easily expand storage while still running multiple SIMs for all your social, browsing, and call requirements.